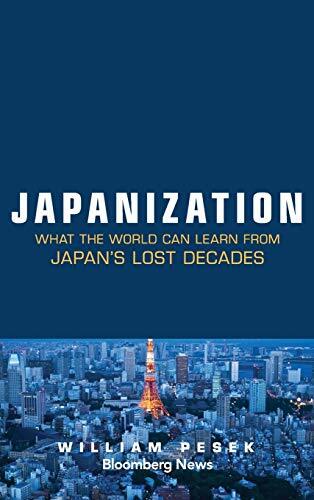 [PDF] Japanization: What the World Can Learn from Japan's Lost Decades (Bloomberg) | Free eBooks Download - EBOOKEE! Description: An in-depth look at Japan's economic malaise and the steps it must take to compete globally In Japanization, Bloomberg columnist William Pesekâ€”based in Tokyoâ€”presents a detailed look at Japan's continuing twenty-year economic slow-down, the political and economic reasons behind it, and the policies it could and should undertake to return to growth and influence. Despite new Prime Minister Shinzo Abe's promise of economic revitalization, investor optimism about the future, and plenty of potential, Japanization reveals why things are unlikely to change any time soon. Pesek argues that "Abenomics," as the new policies are popularly referred to, is nothing more than a dressed-up version of the same old fiscal and monetary policies that have left Japan with crippling debt, interest rates at zero, and constant deflation. He explores the ten forces that are stunting Japan's growth and offers prescriptions for fixing each one. Offers a skeptical counterpoint to the popular rosy narrative on the economic outlook for Japan Gives investors practical and detailed insight on the real condition of Japan's economy Reveals ten factors stunting Japan's growth and why they are unlikely to be solved any time soon Explains why most of what readers believe they know about Japan's economy is wrong Includes case studies of some of the biggest Japanese companies, including Olympus, Japan Airlines, Sony, and Toyota, among others For many investors, businesspeople, and economists, Japan's long economic struggle is difficult to comprehend, particularly given the economic advantages it appears to have over its neighbors. Japanization offers a ground-level look at why its problems continue and what it can do to change course. No comments for "[PDF] Japanization: What the World Can Learn from Japan's Lost Decades (Bloomberg)".